The author and artist Sarah Lee (1791-1856) was a remarkable traveller and scientist in her own right. With her first husband, Thomas Bowdich, she explored the flora, fauna and local culture of the Asante region and Gabon in west Africa. The pair then went in 1819 to Paris, to study zoology under the famous Cuvier, in preparation for another trip to Africa. 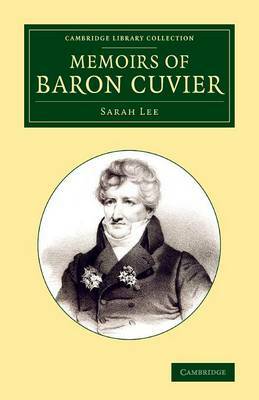 They financed their stay by translating French scientific books into English, and became close friends of Cuvier himself. Their second expedition proved a disaster, as Thomas Bowdich died in 1824, leaving Sarah alone in Africa with three small children. She made her way back to England, and made her living from scientific translation and her own writings. This biography of her mentor was published in 1833, shortly after his death, and remained the authoritative work in English on the most distinguished scientist of the age.